Bill 5105 has just passed in Washington State. This bill lowers the felony DUI to the fourth offense; previously, offenders had to commit four or more prior DUIs in the span of ten years before their crime rose to the level of a felony. While Washington State imposes harsh penalties for hurting or killing someone while driving under the influence, getting caught at a sobriety checkpoint or while driving erratically on the road doesn’t rise to the level of a felony for a first, second, or even third offense. Washington’s recent embrace of recreational marijuana has been a concern for lawmakers and enforcers, and the Washington state toxicology lab reported last year that samples testing positive for marijuana jumped from 19 percent to 33 percent. However, DUIs are still falling overall, thanks in part to younger generations choosing to use rideshare apps like Lyft and Uber rather than getting behind the wheel after a night of drinking or smoking. Bill 5105 was one of several proposed laws intended to make our state’s roads safer. Another, nicknamed Jason’s Law, recently cleared a state House committee. Jason’s Law is intended to close a loophole in sentencing rules; under the current law, an at-fault driver who avoids a sobriety test by running from the scene cannot be punished as severely as a driver who sticks around at the scene and is found to be under the influence. There have been defeats as well as victories for traffic safety advocates. Last year, a bill that would have banned sending emails, reading the news, or chatting on Facebook behind the wheel passed in the Senate but died in the House. Senate Bill 5656 would have eliminated a gaping loophole in our state’s current laws, which were written so long ago that they only banned talking on a hand-held device and sending SMS messages, since most phones did not have internet capability at the time. Traffic safety advocates have also raised concerns about current Washington State laws that hobble enforcement of red light cameras, limit the placement of cameras to school zones, and allow high speeds on local roads. 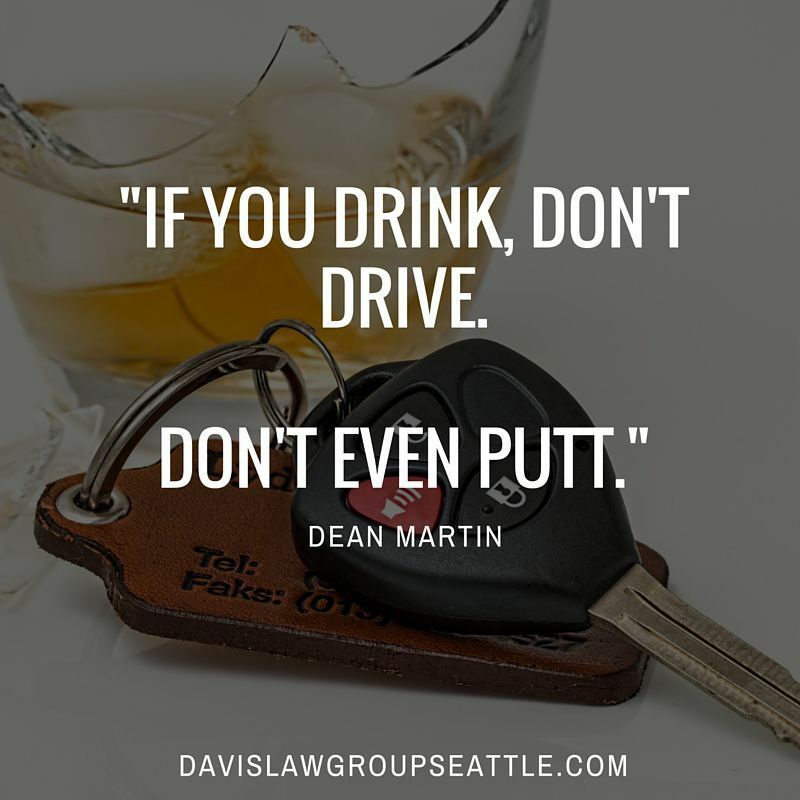 If you have been involved in a drunk driving collision, contact Davis Law Group.